The Quietus | News | Did Goldie Just Reveal Banksy's Identity? Did Goldie Just Reveal Banksy's Identity? Goldie may have just revealed the identity of Banksy during an appearance on Scroobius Pip's podcast, Distraction Pieces. 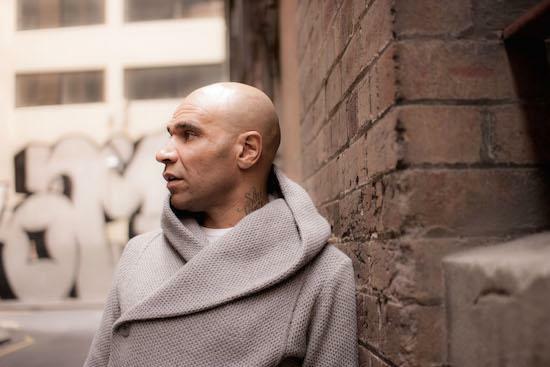 The podcast, which aired on Tuesday, as The Metro reports, sees Goldie rant about the art world cashing in on Banksy and graffiti, while the act of graffiti continues to be treated with less respect than other art. During the rant, he identifies Banksy as "Robert" fuelling further speculation that the artist is in fact Robert Del Naja of Massive Attack. Known as 3D in the art world, Del Naja is known to be a friend of Goldie's and both were graffiti artists during the late 1980s. Del Naja was previously speculated to be involved in the Banksy pieces after a researcher suggested last year that Banksy is in fact a collective movement which Del Naja heads up. The researcher based that speculation on Massive Attack tour dates and artworks that began to appear around the world at the time. "Give me a bubble letter and put it on a T-shirt and write 'Banksy' on it and we're sorted. We can sell it now," Goldie says on the podcast. "No disrespect to Robert, I think he is a brilliant artist. I think he has flipped the world of art over." After saying his name, Goldie pauses for a few seconds and then changes the topic of conversation.